The best way to tell your story – to prospective members, opinion leaders in the media, and public policymakers – is to show it. 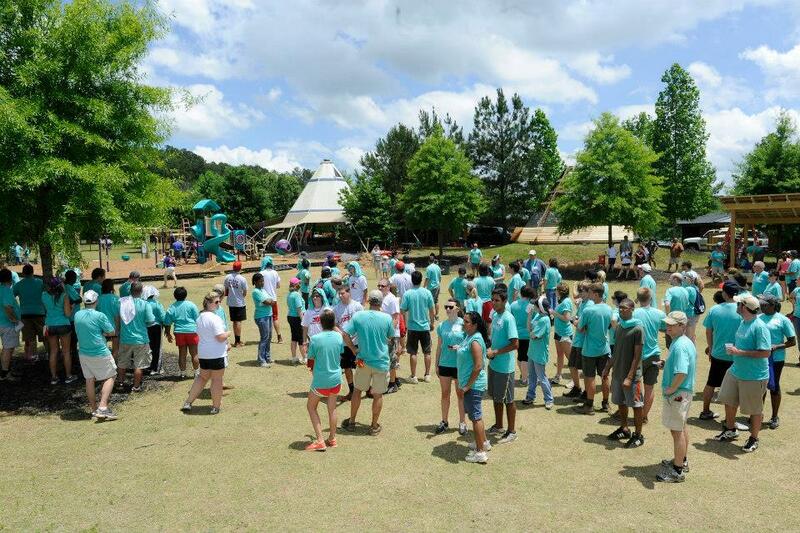 And with a little help from the Alliance, that’s exactly what the Independent Order of Foresters is doing with its KaBoom playground building projects – one of the cornerstone community service activities of the organization. Several weeks ago at the Fraternal Communications Section Mid-Year Meeting, I heard a presentation on the KaBoom program by Kaylie McCann, Manager, Sales Engagement, Foresters. If there is a person with more energy and enthusiasm about her life’s work, I haven’t met them. After listening to Kaylie, I wanted to become a Foresters member on the spot and volunteer for the playground build in my community. We struck up a conversation after the session and she suggested that we invite public policymakers to future builds – starting with a June 1 event in Atlanta and including a dozen other projects across the country in 2013. It seemed like a match made in heaven. It only took a couple calls and emails to get the right folks from Foresters in touch with the right folks from the Alliance’s retained lobbying firm, McBee Strategic Consulting, and the process of inviting members of Congress – and, just as important, staff representatives from their district offices – to attend the builds in their districts was on. The results were almost immediate. Members of Congress and/or their in-district staff – not to mention state and local officials – have been attending several Foresters KaBoom builds held the first two weeks of June. 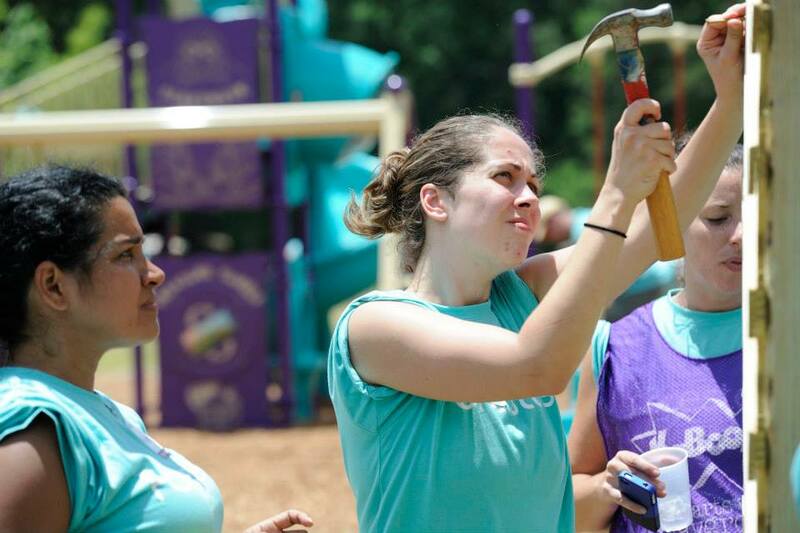 And with more playground builds coming up over the summer, chances are good that we’ll get more public policymakers to these events in the next few months. What’s the attraction of KaBoom builds to public policymakers? It’s not too hard to figure that one out. Elected officials get the chance to participate – if only for a photo shoot – with a group of concerned and engaged citizens (who typically are also voters) who are dedicated to improving the quality of life in their community through volunteerism. A local park gets a face lift without one dollar of public funds having been spent. And the ongoing value of that park to the individuals who live in the neighborhood is virtually immeasurable. How do you put a price tag on bringing families together and giving children a safe place to play? What does this mean for Foresters and the Alliance? It gives us a chance to “show” our story rather than just tell it. I’m not diminishing the value of meeting with legislators and letting them know who we are and what we do. I’m only saying that if a picture is worth a thousand words, then a community service event is worth a million of them. These projects leave a long lasting impression on the folks who do the volunteer work, who get to enjoy the fruits of that labor, and who establish the tax policy that allows organizations like Foresters to fund and facilitate such community service by helping its members secure their families’ financial futures. So thanks, Kaylie, for that terrific presentation earlier this year. And thanks, Foresters, for creating this unique way for your organization and its members to fulfill your fraternal promise of giving back to others. Anyone else doing wonderful things in the community that you think public policymakers should see? Let us know and we’ll help you get them there. Just post a reply here or send me an email at jannotti@fraternalalliance.org with the details.